You'll never guess how many Frozen dresses Disney has sold? Tech from My Childhood Is Starting to Look Retro! 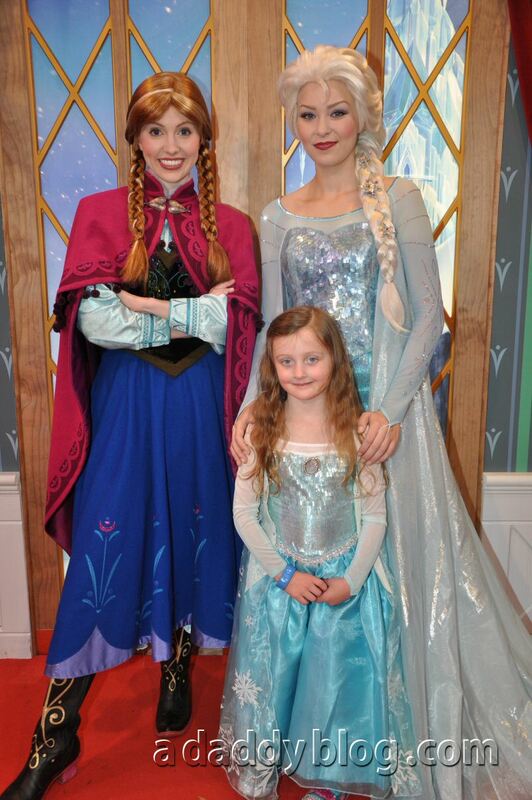 When the photo below of our daughter meeting Queen Elsa and Princess Anna from the award winning Disney movie Frozen was taken I remember hearing that Elsa dresses were selling for crazy amounts on eBay. I’m very happy my wife, always thinking ahead, bought our daughter’s Elsa dress early. 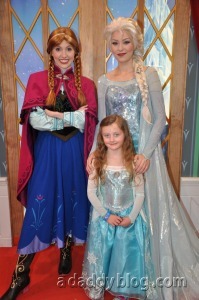 Have you bought one or more Elsa and Anna dresses? How about the soundtrack or movie on disk? We have them all. How could I say no to that cute little face? Okay, I actually do say “no” quite frequently, but not so much when it comes to Disney’s Frozen. Before our daughter was born I was all about being non-commercial, e.g. non-branded bedding, toys and such for her… and even suggested unisex colors for her nursery. As soon as I found out we were having a little girl those good intentions went out the window. You’d think you should be able to acquire a dress post-Halloween. Of course some may be seeking them out for Christmas as well. Check out the consignment sales, e.g. Just Between Friends jbfsale.com, if they have any in your area. I also visit Disney Store online to check out their sales regularly. That is amazing. After greeting quite a few Elsas at my door this Halloween, I’m not at all surprised!